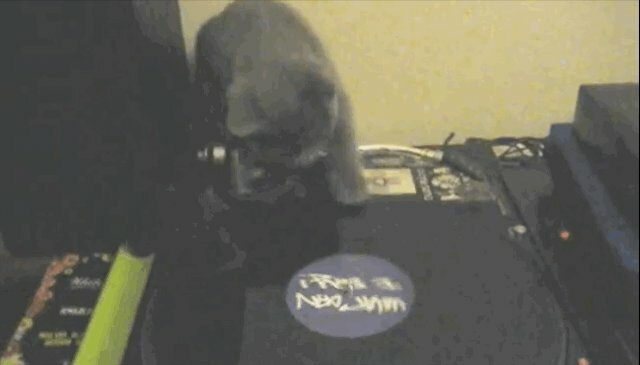 People love vinyl records. Left for dead during the '90s CD boom and the advent of mid-aughts streaming services, they've been enjoying an unlikely resurgence of late, with sales up 18% since 2011 (per the newspaper of record, The New York Times). 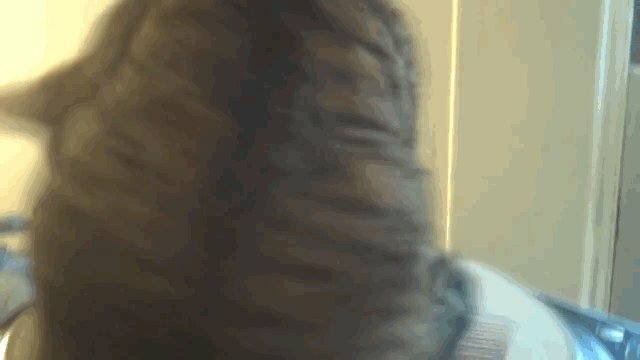 But what about cats, man? 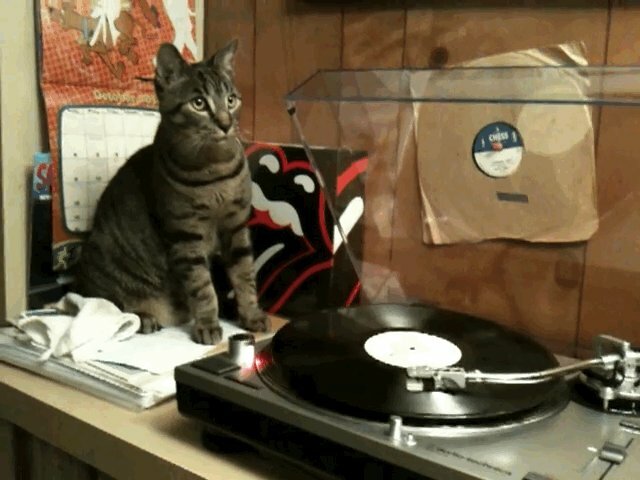 How do they feel about spinning platters of prerecorded music? ... and a lot confused. But really, all they need is a simple tutorial to get started. 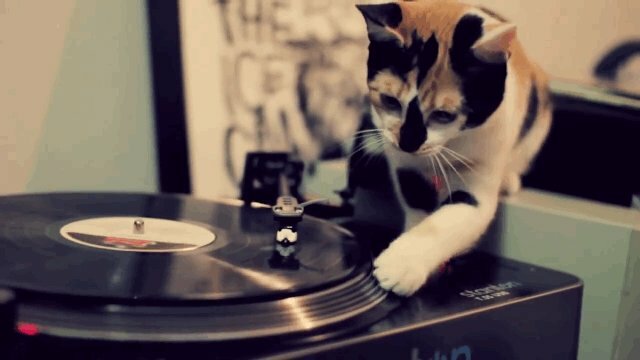 And like the old adage goes ... give a cat a scratch (pad), you amuse them for a moment; teach a cat to scratch and they'll DJ for a lifetime. It's all the rage with the young ones these days! 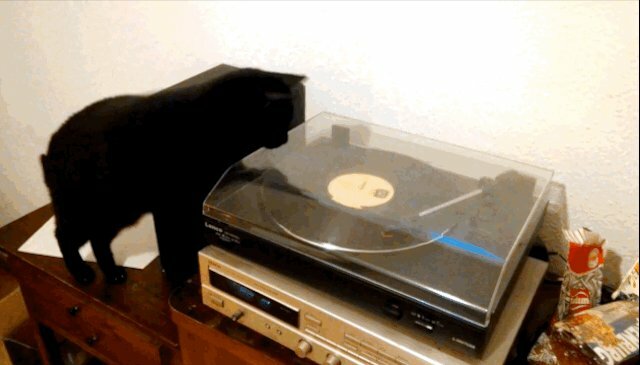 And mature cats find vinyl to be the ... tastiest ... of ways to hear music. 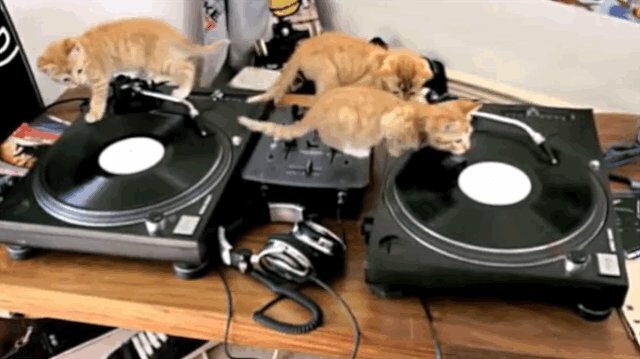 A few sit in judgement of wannabe DJ kitties. But most throw themselves into it with dizzying enthusiasm. 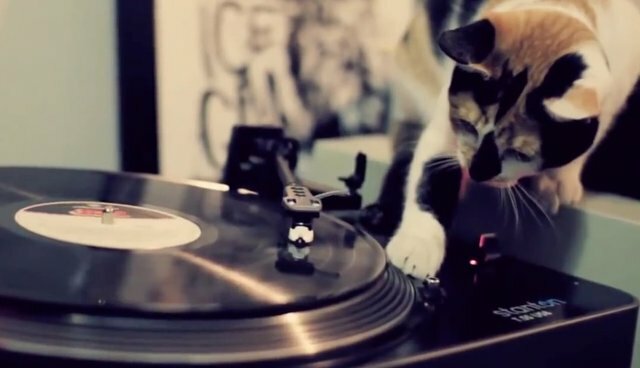 But at the end of the day, it's all about the music, man. 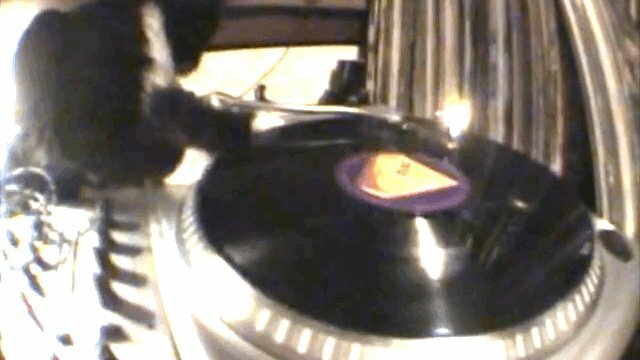 Relevant to our interests: a supercut compilation of cats reacting to turntables. 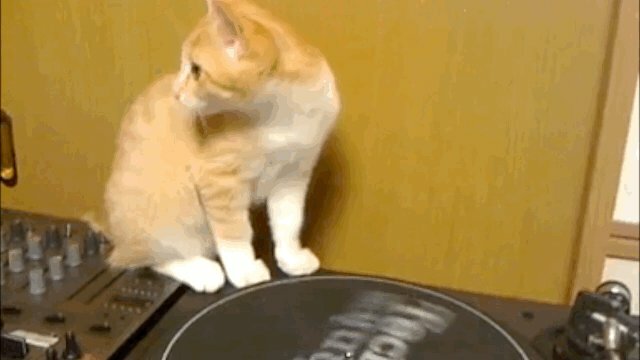 Press play to watch!